Doctors in China may have uncovered an effective second- or third-line treatment option for patients with malignant pleural mesothelioma. Dr. RongQin Meng, an oncologist at 363 Hospital in Cheng Du, said the investigational drug Apatinib (rivoceranib) could become part of a much-needed advance in mesothelioma treatment. 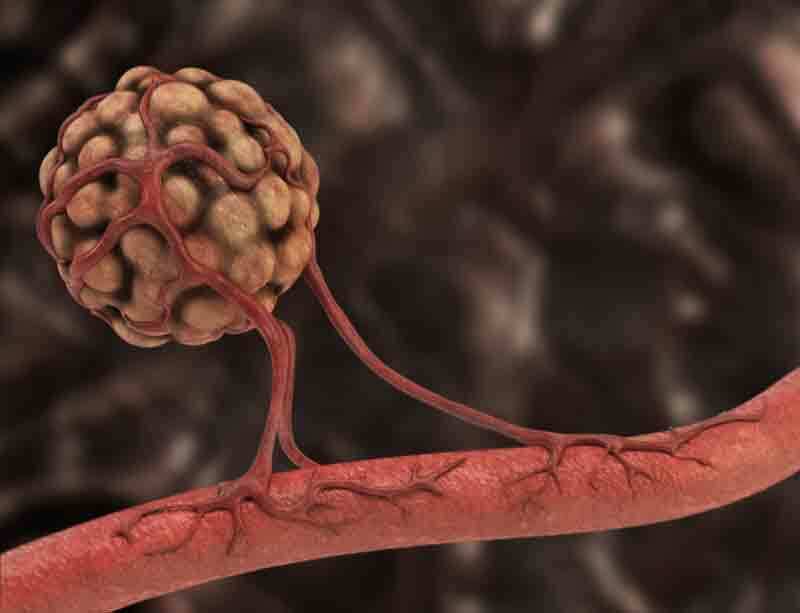 After first- and second-line chemotherapy combinations had failed to slow tumor growth in a 58-year-old woman, Apatinib provided a five-month progression-free survival. Meng believes it was the first time Apatinib had been used and reported for pleural mesothelioma. The medical journal Medicine published the case study online in November 2018. “We need more studies, but this may become part of the treatment for mesothelioma,” said Meng, who was one of seven co-authors. Apatinib, which is taken orally, is a small-molecule inhibitor that works by blocking the formation of new blood vessels in select tumor tissue. This prevents or slows metastasis. It works similarly to the better-known drug bevacizumab, which has shown limited promise with chemotherapy in mesothelioma clinical trials. Blocking blood-vessel formation prevents cancer cells from receiving the vital nutrients they need to multiply. Apatinib has been used effectively for several different tumors including gastric cancer, triple-negative breast cancer, advanced non-small cell lung cancer, ovarian cancer and recurrent malignant glioma. There currently are no clinical trials anywhere involving Apatinib for mesothelioma. The drug is being developed in China, Korea and the U.S. The Chinese case study involved a patient with the epithelioid cell type of mesothelioma, the most common form. She was first given two cycles of an Alimta (pemetrexed) and cisplatin chemotherapy combination, but tumor progression resumed after three months. Following radiation, she received second-line treatment of gemcitabine/cisplatin chemotherapy, which failed to stop the disease progression. As a third-line treatment, what doctors referred to as “salvage treatment,” she was given Apatinib. The first week she received daily doses of 250 mg, which were increased to 500 mg for the remainder of treatment. Partial response was seen after five weeks. She continued treatment for five months while pleural and pulmonary lesions continued to stabilize. Doctors stopped the treatment when CT scans showed metastasis and disease progression. The patient died a month later. There currently is no second- or third-line treatment approved by the FDA for mesothelioma. The standard of care typically includes a combination of chemotherapy, radiation and surgery. Several immunotherapy drugs have shown promise with mesothelioma, but only with a small percentage of patients, creating a real void in treatment options. Meng believes Apatinib deserves a closer look.